Iberostar Cancún is a luxurious family-friendly hotel in Cancun, full of all-inclusive delights for the discerning travellers. 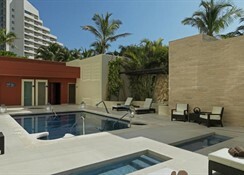 A multiple award-winning hotel, this 5-star property has an amazing beachfront location near Cancun’s hotel zone. 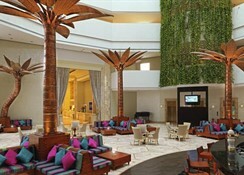 An 18-hole golf course on site and a luxury spa offer a comfortable vacation retreat in sunny Cancun. Guests can relish delicious local and international gastronomical treats, lively entertainment for the whole family and explore the streets of Cancun. Featuring a world-class convention centre, this hotel is great if you wish to combine work with play. This hotel is known for quality and service, and winner of the AAA Four Diamond Award. 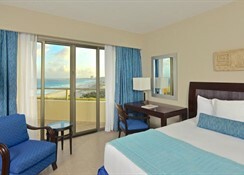 Stay at Iberostar Cancún for an unforgettable holiday on the Cancun coast. 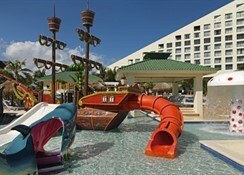 Iberostar Cancún is located on Boulevard Kukulcan, next to a public beach. It is just a short walk away from local landmarks like The Coco Bongo Cancun, Senor Frog's Bar, Cambalache, The Surfin Burrito. The Cancún International Airport is 18 km away, which takes 15 minutes by car. 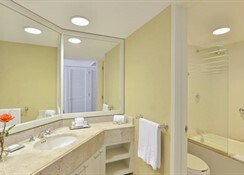 The hotel has 426 well-furnished guestrooms in categories like villas, deluxe rooms and suites. The rooms are spacious, comfortable and feature luxurious decor. Some rooms provide wonderful sea views. These renovated guestrooms are equipped with balcony, digital safe, flat-screen TV, DVD player, alarm clock, air conditioning, minibar, coffee maker, study/dining table, en-suite bathrooms, private hot tub, access to spa, free Wi-Fi and room service. 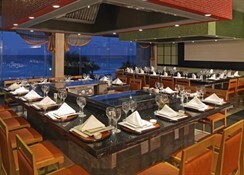 Iberostar Cancún has four restaurants that specialize in Mexican, Japanese, French cuisine. There’s also one buffet restaurant and a steak house. Delightful cocktails, wines and beverages are served at the 5 bars and a snack bar spread across the property. 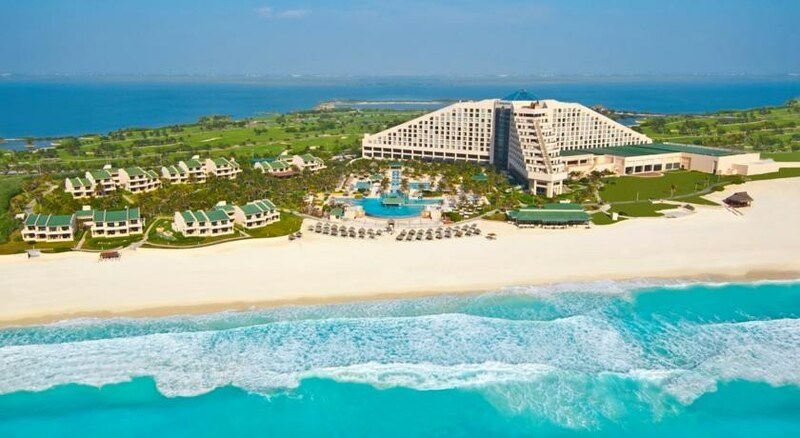 Iberostar Cancún has a large world-class beachfront convention centre where corporate meets and events can happen in a scenic location. It is also a golfer’s delight, having an 18-hole championship golf course. The hotel is not far from lovely restaurants and bars of the Hotel Zone.